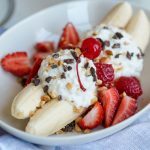 We all love ice cream for a treat, but when a healthy snack is needed you should try this healthy swap. It still has all the flavors you love, with a fraction of the calories! For starters, it’s made with a base of nutritious cottage cheese. Even if it sounds crazy, you have to try it. It’s absolutely delightful. 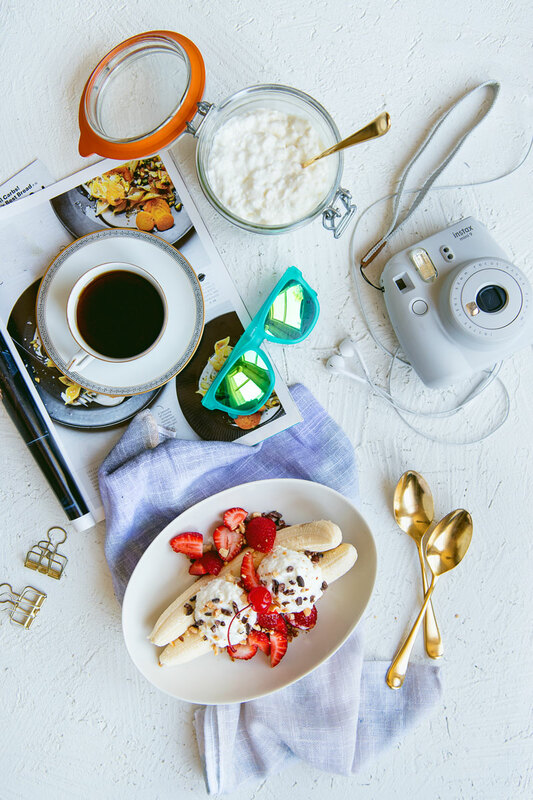 Turns out, cottage cheese made with Real California Milk turns this classic dessert into a healthy snack. 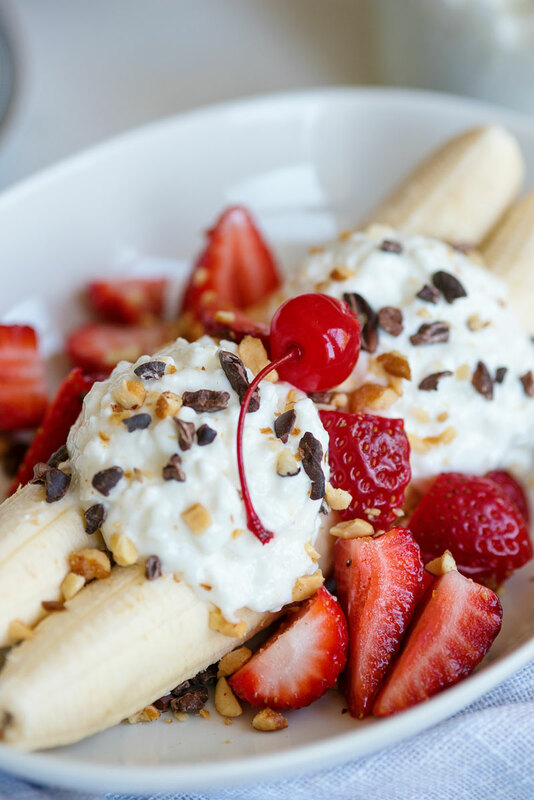 Cottage cheese and all California dairy products are a healthy way to get essential vitamins and minerals, like calcium. It’s also a healthy source of protein that will keep you full and give you energy all day. California is the number one state in the country in milk production. 99% of California dairies are family owned, meaning you’re supporting real people who make real food. You can find California dairy products all over the country, by using their easy product locator. At the grocery store, look for the Real California Milk seal. Cottage cheese even holds its shape like ice cream when you use an ice cream scoop. 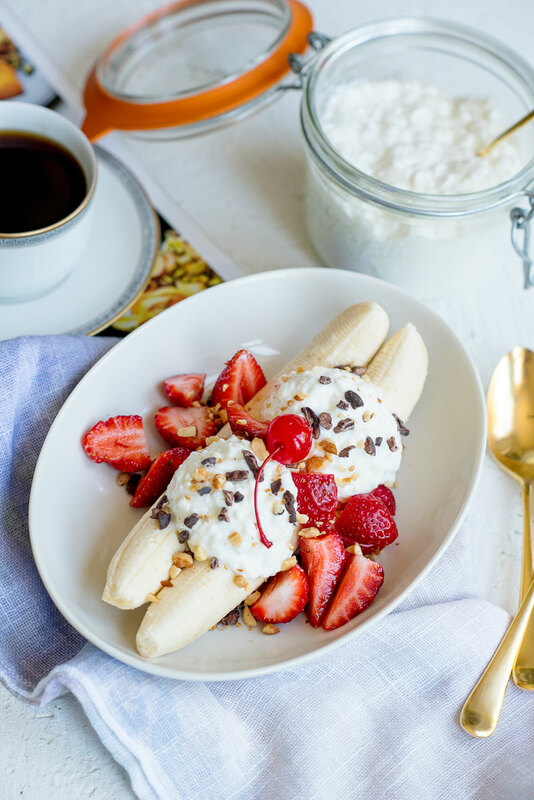 This healthy banana split tastes so much like the real thing! It only takes 5 minutes to make. Cottage cheese made with Real California Milk is a great source of protein to keep you full all day. 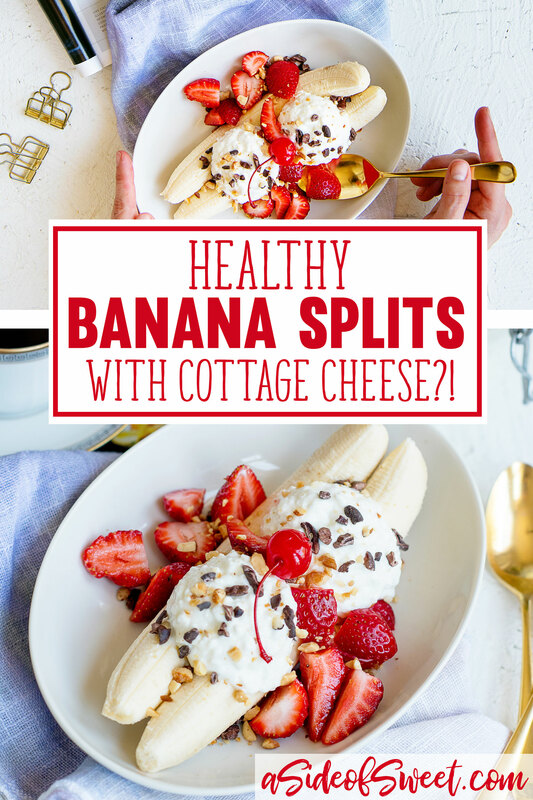 The combination of salty, chocolate and sweet with the creaminess of cottage cheese is perfection. 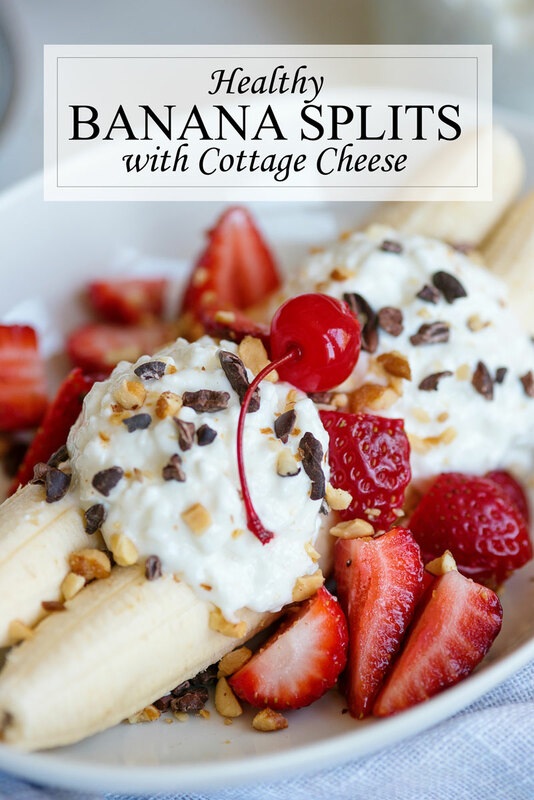 Scoop cottage cheese onto bananas. 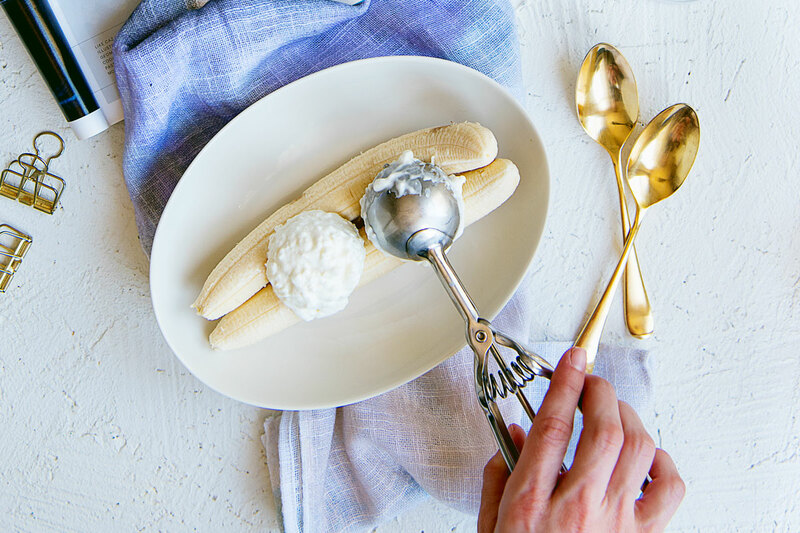 Using an ice cream scoop will make it look more like ice cream. Top with chopped strawberries, nuts and cacao nibs. Finish with a maraschino cherry (optional). Recipe amounts and ingredients are just suggestions! 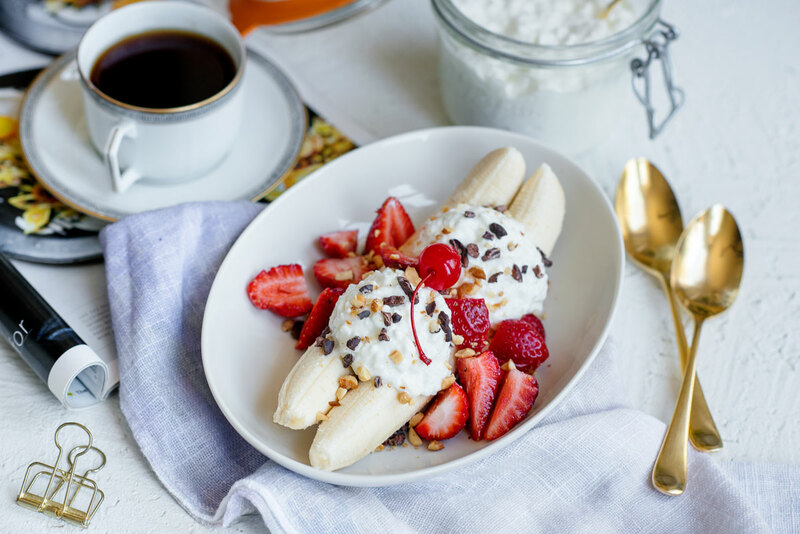 Other topping ideas include chia seeds, coconut flakes, jam, honey and fresh fruit.